Wasim Khan MBE has recently been appointed to the post of Managing Director by the Pakistan Cricket Board for a period of three years from February 2019. 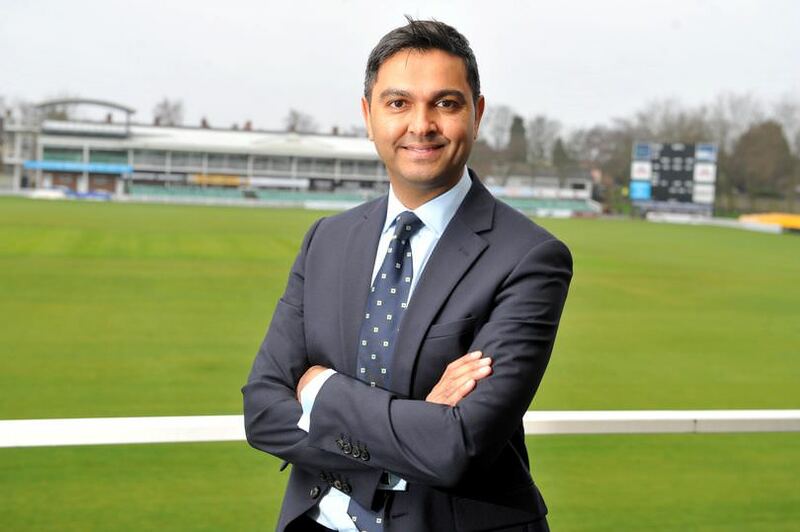 With extensive management experience as the Chief Executive of Leicestershire County Cricket Club where he enjoyed an extremely successful stint from 2015-2018, Wasim Khan's depth of knowledge is expected to prove extremely beneficial for the PCB as they look to reform and modernise the cricket system. In an exclusive interview with PakPassion.net, Khan spoke extensively about how the election of Imran Khan as the Prime Minister of Pakistan was one of the key factors in him accepting the role of Managing Director at the PCB, the challenges that he expects to face and his priorities for the development of cricket in Pakistan, and why despite its inherent issues, Pakistan cricket continues to inspire so many fans and supporters around the world. PakPassion.net: What brings you to, what is often described, as the chaotic world of Pakistan cricket? Wasim Khan: What attracted me most to taking on this position was the challenge of the role, and the fact that I have always been passionate about Pakistani cricket. Even when I was growing up, the love for Pakistan cricket was always in my blood and in our household, my father was a big supporter too. So, just the opportunity to get involved in Pakistan cricket was a major factor in my decision which was further helped by what’s going on in Pakistan at the moment with Imran Khan coming into power as well as the professional attitude of Ehsan Mani as Chairman of the PCB. It just felt that it was a great opportunity and something that I wanted to do to contribute to and to improve things in Pakistan cricket. PakPassion.net: So, it's fair to assume that Imran Khan’s election as Prime Minister of Pakistan influenced your decision to accept the role? Wasim Khan: I've been watching from afar and have admired his stance and philosophy on what he is trying to achieve for his country. As we all know that cricket and politics are probably two of the biggest things in Pakistan, so when this opportunity came around to take on this role at the PCB and to be involved in Pakistan cricket, it was too good an opportunity to ignore. I've always been an admirer of Imran Khan and what he has stood for in his life and it's just great that I am getting this chance now to be part of something special in Pakistan. PakPassion.net: How difficult was it leaving your role at Leicestershire County Cricket Club? Wasim Khan: It was a very difficult decision to make as I've had four fantastic years at the Club where they have given me the platform to be who I am today, and I will be eternally grateful for that. However, after four years I felt that now was the right time to move onto a new challenge. To work with the PCB is a huge opportunity for me and also an exciting one, and I'm really looking forward to it. PakPassion.net: Before accepting the role, did you speak to any former Pakistani players or perhaps former PCB officials for advice? Wasim Khan: I did not speak to any former Pakistan players, but I did speak at length to Ehsan Mani and I bought into the vision of where he wants to take Pakistan cricket. Over the years, there has been this perception that the Pakistan Cricket Board could be a lot more professional and a lot more organised in how it operates and I think with my education here in the English cricket system particularly with being involved at the ECB, I just feel that there is a huge amount that I can bring to improve the levels of what goes on at the Pakistan Cricket Board. In my conversations with Ehsan Mani, I came to know more about what he felt was needed for this role and it became clear that what I could bring to the table matched up with what the job and the PCB required, and that worked out really well for me. PakPassion.net: What specific aspects of your work at the ECB and at Leicestershire do you think will help you in your role as Managing Director of PCB? Wasim Khan: There are a number of elements from my past experience that will help me in my role at the PCB. To start with, I've been heavily involved in restructuring at Leicestershire and one of the things that I know will be a part of my role at the PCB will be looking at the processes and systems in terms of how the PCB operates. I've also chaired the Men's County Cricket Working Group at the ECB during the course of the summer and to look at the domestic structure from 2020 and I know that the domestic structure is one of the areas that the PCB is looking at in terms of improvement. In any high-performance environment around the world, you need some real stress in the system and you create stress by having less teams and creating better competition and quality of cricket and I think that my experience of working in the ECB Working Group will help massively. Also, having played the game, I can bring in all that knowledge from the playing side as well. In addition, my experience from audit to risk registers, to systems and processes are some of the other strengths that would be beneficial in my role at the PCB. I have led Leicestershire at a very difficult period and we've made some good progress in four years. I've been able to take a lot of good people along with me in terms of the direction we have tried to go with Leicestershire and I certainly hope that I can use a lot of those leadership skills to do exactly the same at the PCB. PakPassion.net: Was it difficult to convince your family to move to Pakistan? Wasim Khan: It wasn't too difficult to make that decision. My wife's extended family are from Lahore and I am from Azad Kashmir. We've been to Pakistan many times over the years and the opportunity to contribute to Pakistan cricket is something I feel passionate about and this was a real influence for me in terms of making that decision. Moving to Lahore wasn't a huge issue and whilst there will be some upheavals for my young daughters who are at school, but it's such a wonderful opportunity and a cultural change for them and an opportunity to be amongst Pakistani people and for me to contribute to the Pakistan Cricket Board. PakPassion.net: As the Managing Director’s role is a new one at the PCB, will your priorities be dictated to you by the Chairman? Wasim Khan: I think as time goes by in this role, I will get an opportunity to stamp my authority. So, like any new job you go into, you initially assess the situation and listen quite a lot too. What I would like to do is to spend quite a bit of time with staff understanding what's working and what could be improved, and also get an idea of what people are doing. And then ultimately what I want to do after 2-3 months in the role is to be clear about where the structure could potentially go in the future and then there is something tangible that I can present to the Board. We need to remember that PCB have no strategic plan at the moment. Yes, they have an idea of the places they want to go and what they want to do but there is nothing written down on paper, so I will be setting up some real strategic priorities for the direction of Pakistan cricket which will be an important task. Along with this, I will be creating a structure that can deliver these objectives which is probably going to be the way forward and perhaps one of the earliest things that I am going to need to look at. PakPassion.net: What do you feel are the biggest challenges facing Pakistan cricket at the moment? Wasim Khan: Purely from a playing perspective, there is a level of inconsistency when playing away from UAE, but I don't think Pakistan are alone in that and I think various countries face issues when they play abroad in alien conditions. However, being consistent on the field is something that we want Pakistan to be and we would also like them to climb up that ladder of the ICC Test rankings. We are right up there in terms of Twenty20 cricket rankings, but we want to be the leaders in all three formats and that has to be an aim. That is going to take a lot of work but there are great leaders and there's a great management team headed up under Mickey Arthur who I think is doing a brilliant job under some challenging circumstances. In terms of off-the-field areas, we need to ensure that we professionalise the PCB as much as possible. As I have said before, the priorities will be about getting systems and processes right, getting the people to do the right things and getting people focused, improving our communications and making sure we are on top of things like that. In general, the idea will be to look at how we can improve 20-30% in terms of how we operate and how we do things at the PCB. PakPassion.net: Surely one of your priorities has to be the return of international cricket on a regular basis to Pakistan? Wasim Khan: Yes, getting international cricket restored on Pakistan soil is a big priority. I've got some good relationships with cricket boards around the world and one of the key jobs working with Ehsan Mani will be to try and persuade countries to come and play in Pakistan. Clearly despite all the security measures that Pakistan has promised, there still seems to be some gaps in terms of the security which is not allowing the head of security of each of those countries to recommend they play in Pakistan. So, what I want to try and understand is what is currently missing from the security program that has been put in place or offered and then assess what we can do to close that gap and reassure the foreign sides that we have got everything in place to make their stay safe when they do come to Pakistan. So, there will be a few small steps taken to get international sides to visit Pakistan but along the way, what I would also like to do is to bring over to Pakistan some County teams. There is a fantastic academy in Lahore with some great facilities and perhaps we need to start slowly and bring Counties over, so they have a fantastic experience and they then go away and say it was brilliant to go and play in Pakistan. There are a number of measures that I have got in mind to discuss with Ehsan and together I'm sure we will come up with a plan of how we tackle this issue. It will be very beneficial for Pakistan if we are successful in trying to bring a level of international cricket back to the country. This country of passionate people and passionate supporters of cricket has been starved of cricket but holding some of the PSL games in Pakistan is a great start. It would be great if we can also start getting some 'A' teams coming over to Pakistan with some international cricket being played here and have visits from some County teams as well. These are some of the areas that will be key performance indicators in terms of what success will look like in my tenure and this is something that I am really determined to try and change. PakPassion.net: The Pakistan Super League has undoubtedly been a success so far, but what aspects of this tournament need to be improved upon? Wasim Khan: I speak with a lot of cricket agents who have players involved in the PSL and they say it's one of the best organised Twenty20 competitions in the world which is fantastic and is a huge credit to the PCB for the way they have actually managed and run that competition. So, there are huge positives already in the type of work that has been done by the PCB in this regard. Of course, increasing the number of games in Pakistan year on year has to be a goal as now the PSL is built-up as a really good brand which can only keep on getting better and improving. Ultimately moving more and more games to Pakistan is a sign of success and getting international players coming over to Pakistan having a great experience and going away and telling the rest of the cricketing world that it's safe to go to Pakistan can only lead to more benefits for Pakistan cricket. PakPassion.net: Pakistan is playing their home series in empty stadiums which must be really de-motivating for the players. Is UAE, as a home venue, something that you may look to change? Wasim Khan: Playing in empty stadiums is definitely tough for Pakistan players. You have these guys who are at the top of their profession representing Pakistan and you want them to experience playing in front of full houses but because of circumstances, they are not able to do that. That is one of the factors that you want to add into the equation of trying to get cricket back into Pakistan along with so many other factors. But at the moment, UAE is the home of home series and that's the only real option we have got. But of course, playing in front of full houses falls under that remit of five or six things we will benefit from by having cricket back home in Pakistan. That is going to be our aim and I think it's really important that we focus on that. PakPassion.net: Is it fair to say that you face a huge task in trying to change, modernise and improve domestic cricket in Pakistan? Wasim Khan: When you look at the topic of the domestic cricket structure, you have to look at the whole of the infrastructure and that infrastructure includes pitches, training facilities, changing rooms and the wickets matches are played on. These all come under that remit and it's simply not just about changing that structure. The structure has to be underpinned by all of these other things that add value to a domestic structure and are important aspects of the equation. All these components are going to need to be looked at. We know that the current structure is steeped in tradition and history and it's not going to be easy and there is going to be change required, but ultimately where we want to get to is that we don't want to produce cricketers who play for Pakistan, we want to produce Pakistan cricketers. There is a subtle difference in these terms which means that each player coming through a competitive system is ultimately there to represent Pakistan and that's where you want to get to. You want everybody to buy into this vision and I think selling that idea and selling change to all the stakeholders is going to be critical. It's not going to be easy and there is going to be some resistance to change but remember, Pakistan is not the only country where that is an issue. If you look at any workforce or any work environment anywhere in the world once you are proposing change, people are immediately concerned and worried because the first thing they think about is what does this mean to me and what does it mean to what I am currently doing. So we have got to reassure them and work with them but ultimately we have to sell a vision that we are here as custodians of Pakistan cricket and we all have a role to play to make it the best in the world and that's going to be our aim. PakPassion.net: The Pakistan Cricket Board doesn't seem to be flourishing when it comes to television rights deals or marketing its product. Is this an area you will want to improve upon? Wasim Khan: Yes, that is absolutely an area of concern. I don't think it helps not having your home series in Pakistan. There is a lot to be said for that because you have got local markets as well as companies and marketing entities within Pakistan that would love to be able to advertise on television in the country when Pakistan is playing matches in Pakistan. I'm going to need to go in and have a look at how we are commercially set up and how do we maximise revenue, including what are we doing well and what are we doing not so well and also learn from what other countries are doing. I think with anything like this, there are so many areas that Pakistan could be better at but there are also so many areas that they are very good at, but it's about bench-marking and having a look at what others are doing and not to re-invent the wheel. The idea is to think about what others are doing and how can we apply that to our environment and improve what we are doing as well as to reconsider how we operate in general. I think that in any foundation, for improvement, you have got to be honest about how you are currently operating and what you are doing and also what practices you can change. Until I get in there and get a real feel for the understanding of the mindset of how we are selling commercial propositions and how we are operating commercially, it's difficult for me to make a comment about that right now. Once I am in the environment, I will be better placed to start to make recommendations for change if that is what I feel we need to do. But it's like any other commercial venture, you really need to sell your product and sell what it is that you are about and that is certainly going to be part of my job, to make sure we can do that. PakPassion.net: Despite the issues and problems, there is so much to love about Pakistan cricket isn't there? Wasim Khan: You speak to anybody around the world and they love Pakistan cricket and the way Pakistanis play the game. The flamboyant style, the never-say-die attitude, there are so many fantastic characteristics of Pakistan cricket which have existed in the past and will always continue in the future. There is a rawness in the talent, which is untouched and untapped in so many ways. All of these things add to the ingredients of Pakistan cricket. So, there is so much to work with and what I am trying to do is to focus on all of the good things Pakistan cricket is doing and where we can improve. I'm really looking forward to getting stuck into the role and in the first 90-100 days learn as much as possible so that we can start to put plans in place for improving things.